All content is purely editorial and unless stated otherwise, I buy everything myself and write/vlog about it purely because I enjoy doing so. There are affiliate links on my blog for things that I absolutely love and recommend. c/o “courtesy of” means I didn’t have to pay for it. It may have been swag (“stuff we all get” from a conference/event) or something that was sent to me for a review or otherwise. gifted means it was given to me by a friend, family member, etc. I welcome paid advertisements and [unpaid] product reviews that fit in with the content of my blog and craft creative content around brands in my sponsored posts. 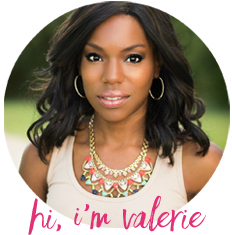 If you are interested in partnering with CharmedValerie.com go here. This blog is a personal blog written and edited by me. For questions about this blog, please contact Valerie Rowekamp.